Technology permeates nearly every aspect of our daily lives. Cars enable us to travel long distances, mobile phones help us to communicate, and medical devices make it possible to detect and cure diseases. But these aids to existence are not simply neutral instruments: they give shape to what we do and how we experience the world. And because technology plays such an active role in shaping our daily actions and decisions, it is crucial, Peter-Paul Verbeek argues, that we consider the moral dimension of technology. Moralizing Technology offers exactly that: an in-depth study of the ethical dilemmas and moral issues surrounding the interaction of humans and technology. 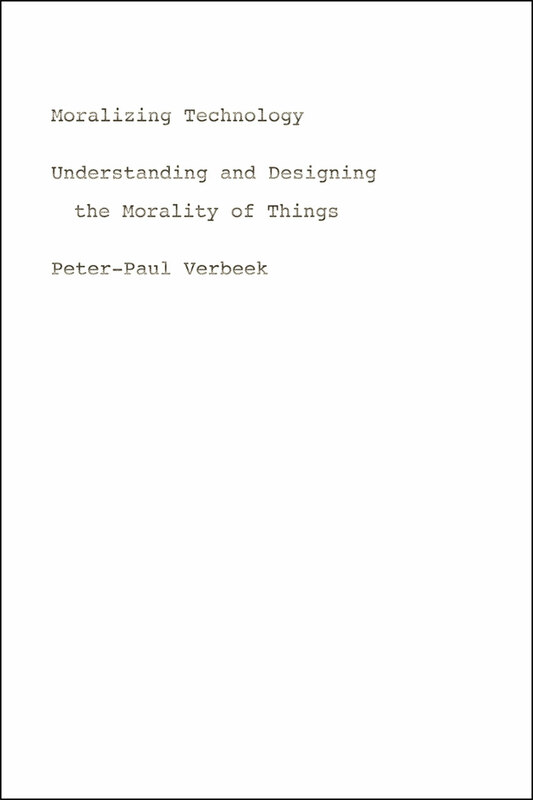 Drawing from Heidegger and Foucault, as well as from philosophers of technology such as Don Ihde and Bruno Latour, Peter-Paul Verbeek locates morality not just in the human users of technology but in the interaction between us and our machines. Verbeek cites concrete examples, including some from his own life, and compellingly argues for the morality of things. Rich and multifaceted, and sure to be controversial, Moralizing Technology will force us all to consider the virtue of new inventions and to rethink the rightness of the products we use every day. 3. Do Artifacts Have Morality?